In each issue of Keywords, we profile a staff member who works in the library or a related department. This issue features our new User Experience and Digital Scholarship Librarian, Leanne Galletly. Hometown: Technically Mahwah, NJ, but I call Burlington home. Miss Leanne, welcome to campus! It is our understanding that you’re the new User Experience and Digital Scholarship Librarian. Are the rumors true? And if so, what does that title mean? The rumors are true! The title is bulky, but the goal of my work at Middlebury is to make the library easier to use for everyone. I will conduct surveys of the physical library space, and start doing usability testing on the website so we can see what the community here actually wants and needs from the library. As for digital scholarship, I’m hoping to help students and faculty design and create digital projects as part of curriculum or for individual research. All the Reference and Instruction librarians liaise with different academic departments and programs. Which do you expect will be your primary disciplines and contacts? I’m excited that I’ll be liaison to Studio Art, English and American Literatures, French, Russian, and Classics! I’m sure that these disciplines will allow me to get to know our collections from a variety of vantage points and inspire a wealth of collaborations with my colleagues. How might your work with the Digital Liberal Arts Initiative be different than, say, with the Department of English and American Literatures? The Digital Liberal Arts (DLA) Initiative is focused on leveraging digital tools and platforms to share research in ways that are more dynamic and engaging than traditional print media. 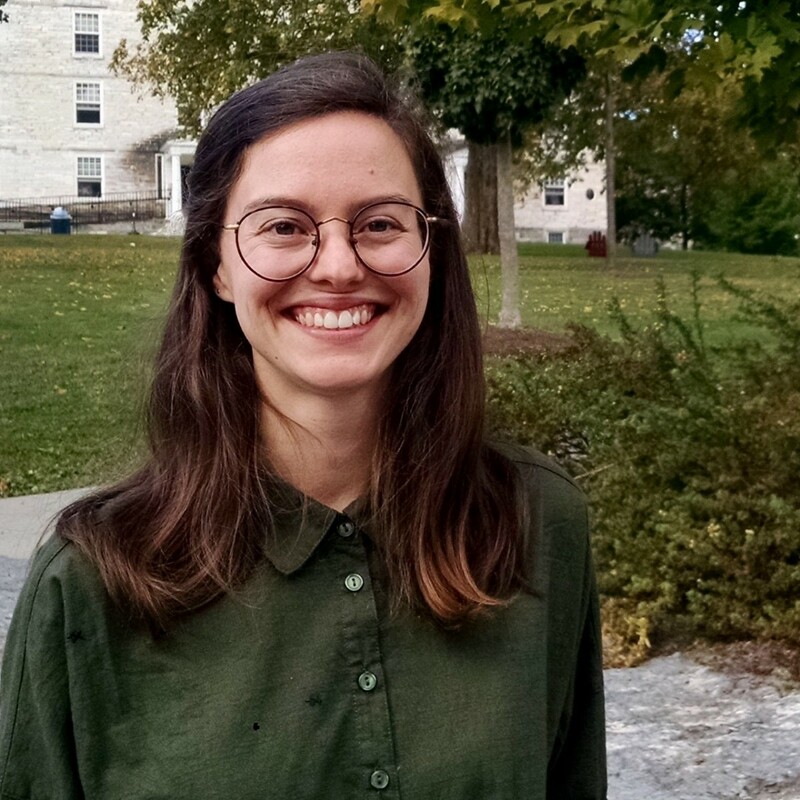 To that end, the DLA is not subject specific, which allows the program to highlight a diverse range of projects and research happening here at Middlebury. Check out faculty projects here. They really speak for themselves. What special skills do you bring to Middlebury? And what types of assistance should faculty, staff, students, and community members be asking of you? I have expertise in a variety of web platforms and I know how to adapt pages to meet accessibility standards without compromising design. I also just graduated with my Master’s in May, so I feel very confident with my citation knowledge and I can totally empathize with any last minute research questions! So, ask me anything! But especially ask me: why? Is something not working on the library website? Is there a sign that leads to nowhere? Ask me about it! Do you envision yourself engaging in campus life outside of the library? In what ways and with which groups? I’m interested in what’s going on with the Center for Innovation, I think it would be awesome to potentially work together on some projects in the library! I’m also really interested in the up and coming makerspace. I dream of making my own Settler’s of Catan board game (nerd alert!). What’s your favorite part of your work so far? My favorite part so far has been working with students. I’m loving my new post at the Research Desk. Come say “hey” this semester Mondays, 1:00 p.m.- 3:00 p.m., or Wednesdays 11:00 a.m.- 1:00 p.m. I want to start a user test group for the library; if you want to learn about UX design and how your input can impact the community at large, sign up at go.middlebury.edu/leanne.